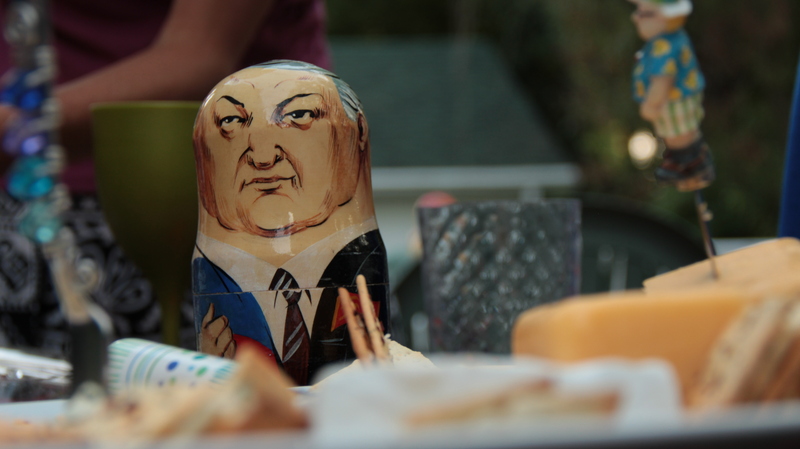 Zakuski is the pre-dinner spread that welcomes guests in a Russian home. Zakuski is derived from the word morsel, and it is an assortment of morsels to accompany vodka that you will of course be drinking at any Russian gathering. The spread can include a great variety of dishes, hot and cold, homemade and store bought, spicy, salty, rustic and gourmet… as long as it is plentiful and complimentary to vodka it is welcome. The tradition probably evolved among the 18th Century aristocracy in the countryside as a way of welcoming guests who had traveled a long way in the cold, and whose arrival times may have been uncertain. 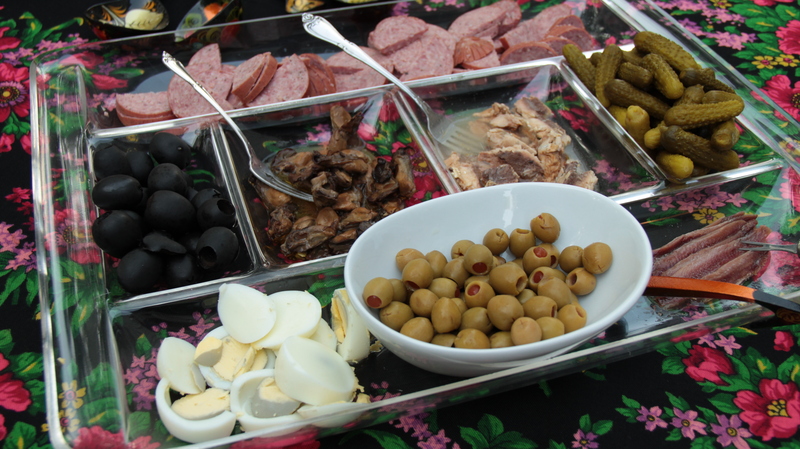 Our spread included Salami, Green and Black Olives, Hard Boiled Eggs, Sardines, Smoked Oysters, Anchovies, Pickles, Cheese & Crackers. Bread and Salt are the symbols of Russian Hospitality, so should be served in plenty. Other authentic options could be Caviar (of course! ), Russian Black bread with herbed butter, anything pickled (apples, beets, mushrooms etc. ), smoked salmon, cocktail meatballs, small boiled potatoes with with dill… the list can go on and on. Zakuski is usually accompanied by the drinking of several vodka toasts, which are usually followed by a bite of a sharp dill pickle. 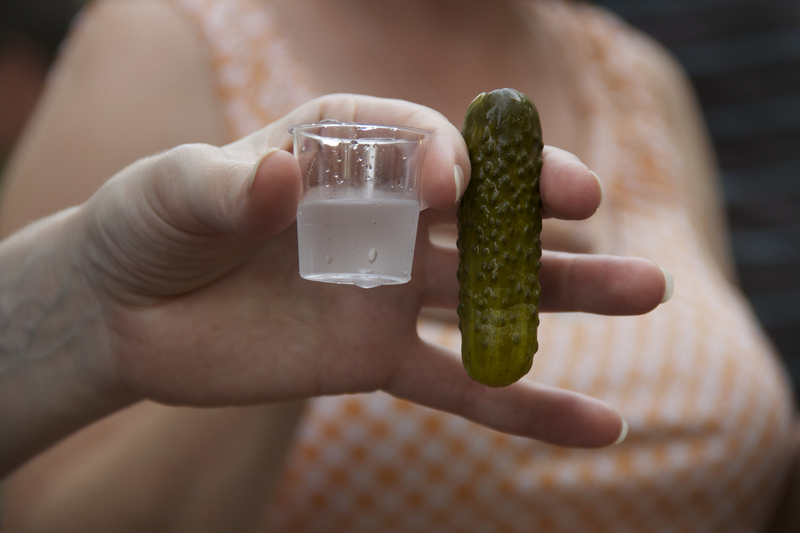 This is much like the lime to chase a tequila shot, the pickle absorbs the burn of the shot with it’s briny goodness. Toasting is an art form in Russia. 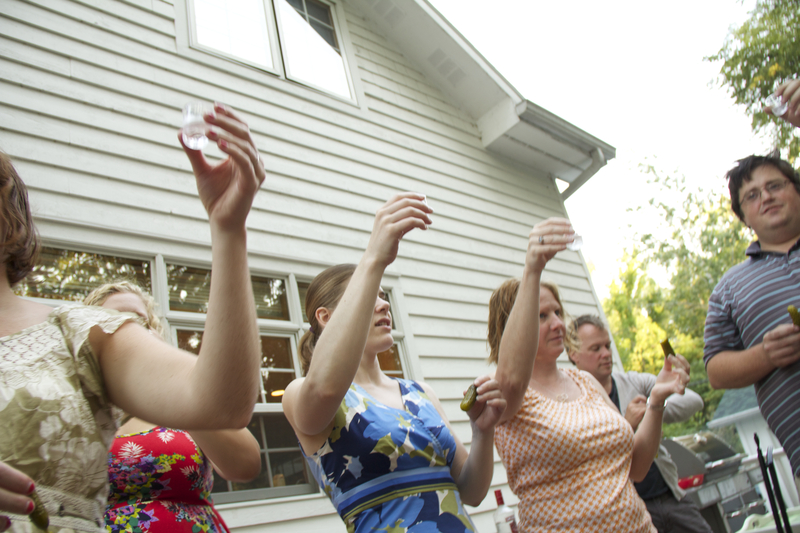 At some gatherings the host will make a one or two toasts, at others, every guest will take a turn. I attended a Russian dinner with my parents when I was 16 when everyone at the head table took their turn. The memory of watching a roomful of adults throw back 10 shots of vodka over the evening left a lasting impression.